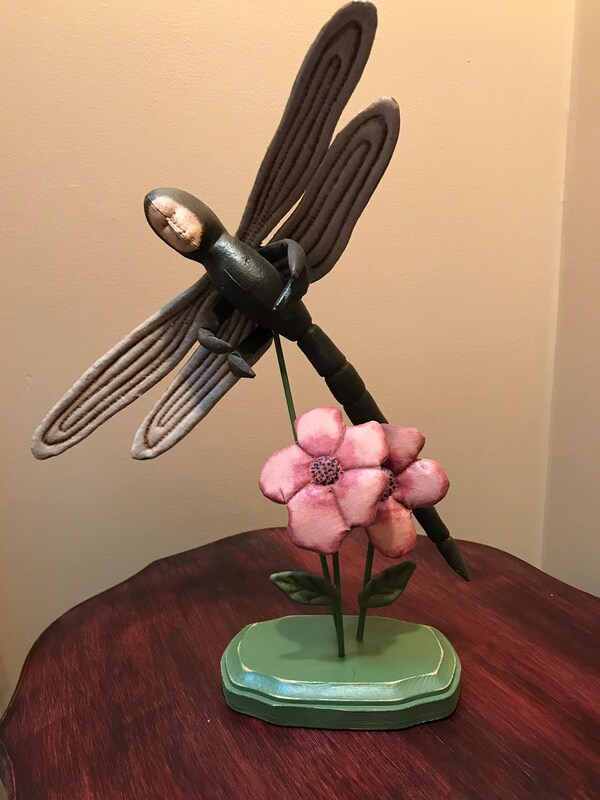 Handmade OOAK Dragonfly Vintage Art Doll. Finished doll - not the pattern! This OOAK doll is part of my personal collection that I decided to part with. 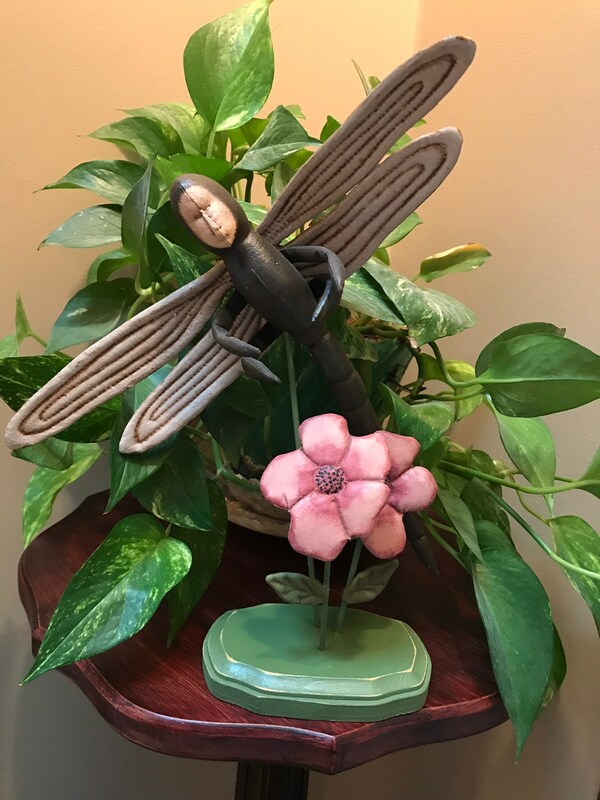 It is the very first doll I made to develop the pattern for Dragonfly back in 1999. I wanted to keep the very first doll I made to develop each and everyone of my patterns. I now have over 175 patterns and there are just to many dolls for me to keep. They have been stored in boxes over these many years, so I have decided it’s time to share them. It is soooo hard to part with them. Each prototype doll comes with a certificate of authenticity. 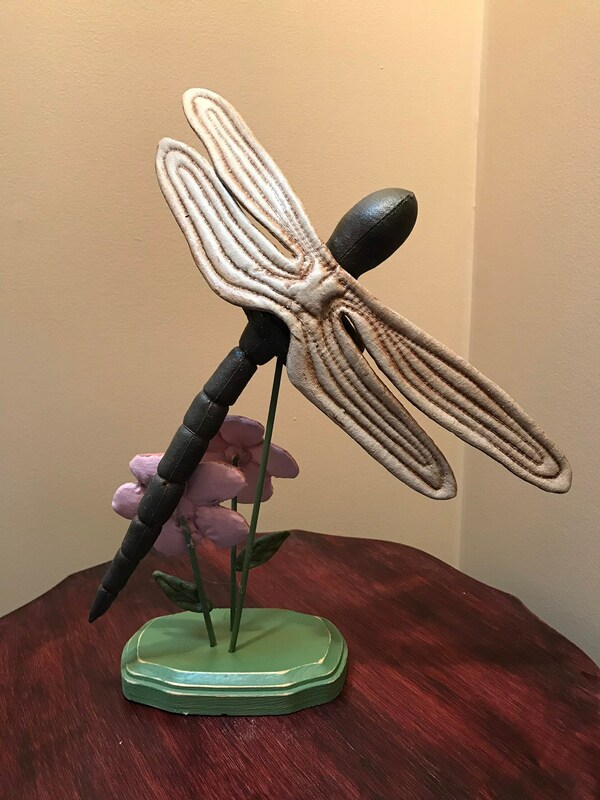 Dragonfly is displayed on a stand and is 11” tall. 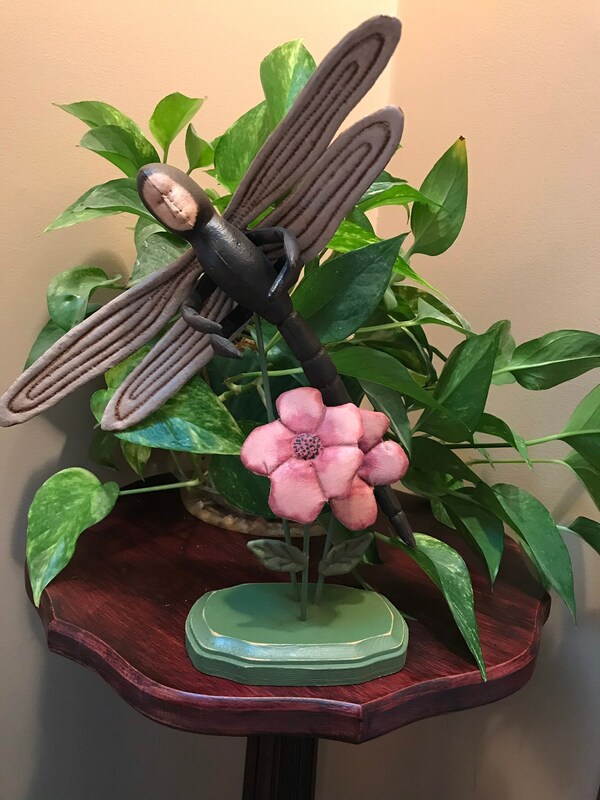 The dragonfly body itself is 11 1/2” long, wing span is 12 3/4” wide. Doll is made of muslin that has been stiffened, painted, stained and finished with a satin clear cote. The face is needle sculpted and the wings are quilted. 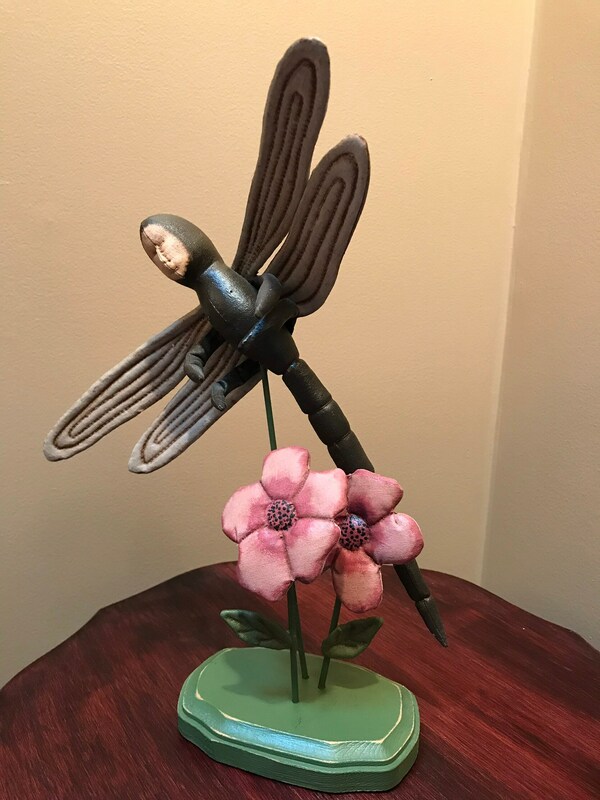 The flowers were made using the same technique as for the body. Doll is mailed only within the contiguous United States. Mailed insured USPS Priority Mail. Shipping cost is $8.00.